The hashtag for Grand Prix Las Vegas is #GPVEGAS. Join the conversation. This looked like the tournament where Modern was starting to settle. For the first time, "usual" decks were showing up in "usual" amounts, and as commonplace, Tron threatened to take over everything. But also something becoming more "usual" is twentieth-ranked Matt Nass killing everyone in sight with a deck no one quite understands. The Krark-Clan Ironworks combo deck is socomplex, the most trophied player in the world with the deck—Nass himself—had to ask a lengthy judge question in the finals about how his own deck functioned. Perhaps the current Modern metagame could be stated as: Tron, Mardu Pyromancer, Humans, Jeskai, and Matt Nass. Doesn't seem too far off really. But Grand Prix Vegas soldiers on tomorrow! With the conclusion of the Dominaria Limited Grand Prix, and the fabled Beta-Beta-Beta draft! Talk about a heck of an event – 2,779 players descended upon the desert to play Modern on the first day of Grand Prix Las Vegas, and eight rounds later a stacked field consisting of everything you could want to find – from the world’s best players to the world’s most innovative decks to a dazzling array of cosplay, Day 1 of Vegas had it all. 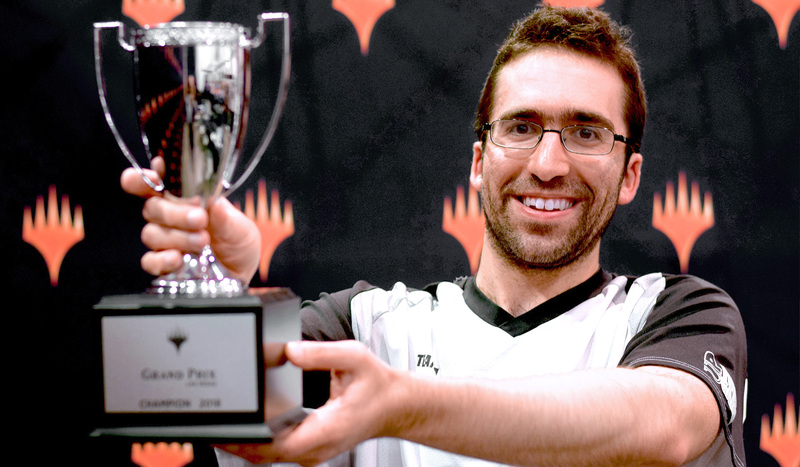 Eighteen players led by Hall of Famer Martin Juza along with Thiago Saporito, Ben Friedman and Matt Nass endured those eight rounds to finish with a perfect record, and along with 14 other undefeated players will return on Saturday to battle for a shot at the Top 8 and the title of Grand Prix Las Vegas champion. That is, at least they’ll be one champion of Grand Prix Las Vegas, as the second Grand Prix of the weekend kicks off Saturday morning with Dominaria Limited. You won’t find more Magic being played in one room anywhere else than this Saturday in Vegas, and we’ll be back with live coverage of it all at 9:30 a.m. local time at Twitch.tv/Magic!